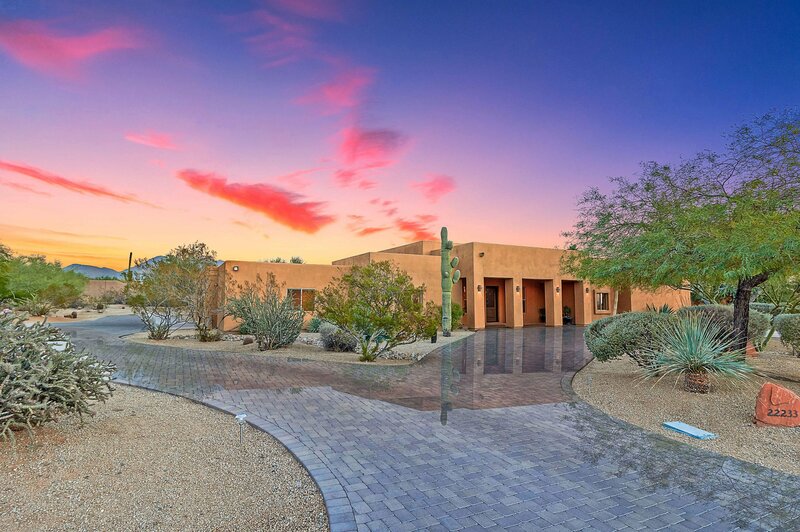 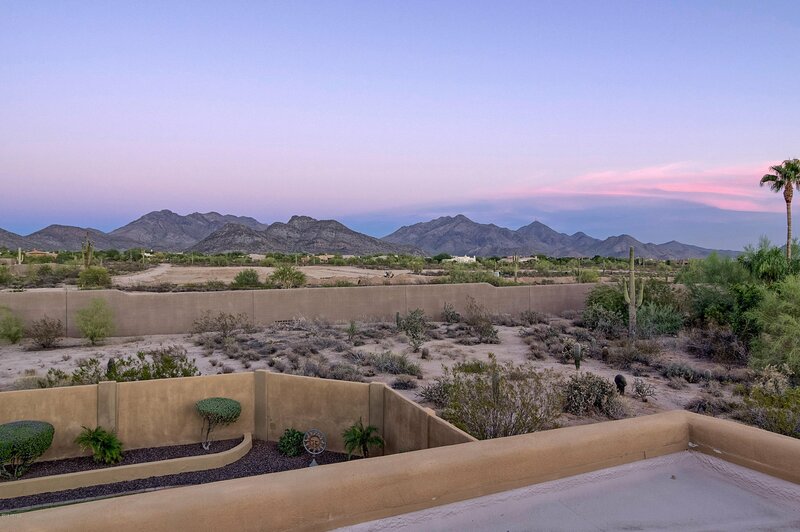 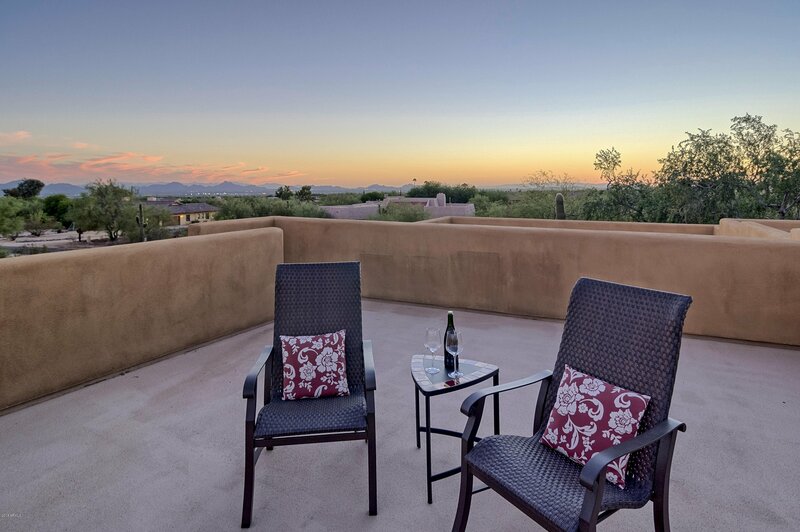 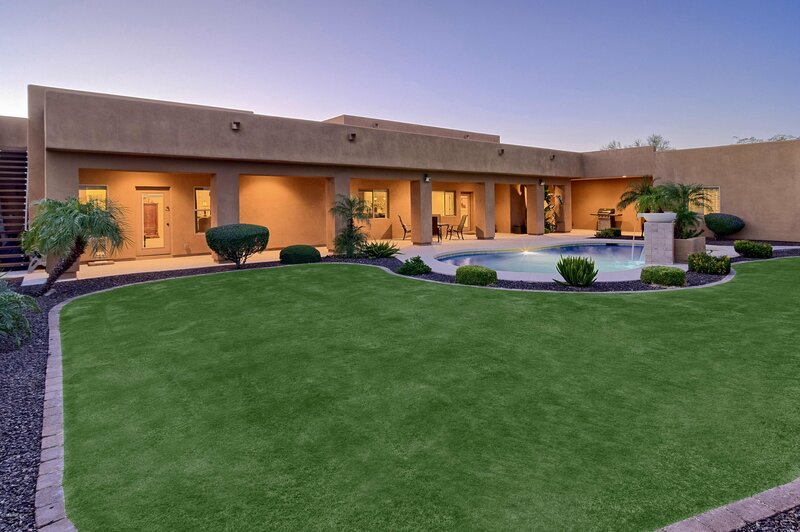 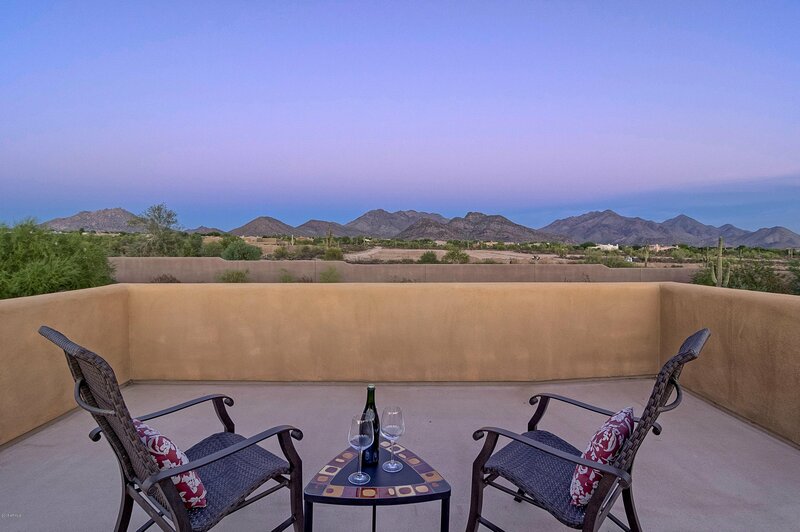 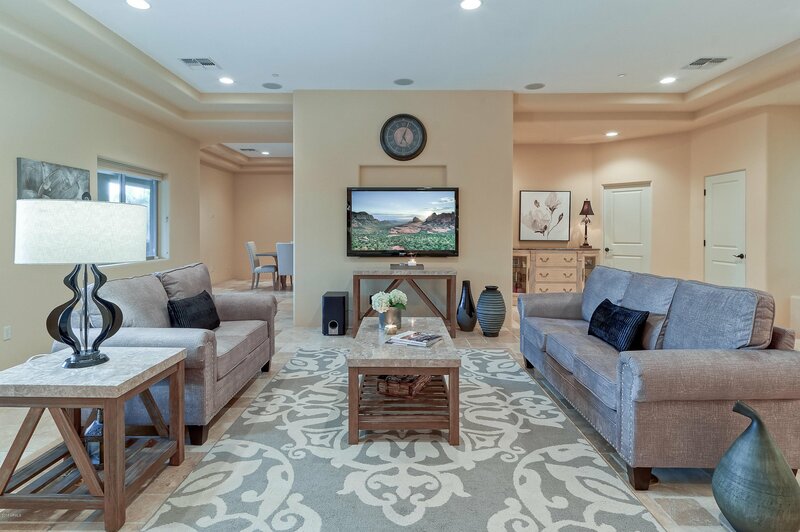 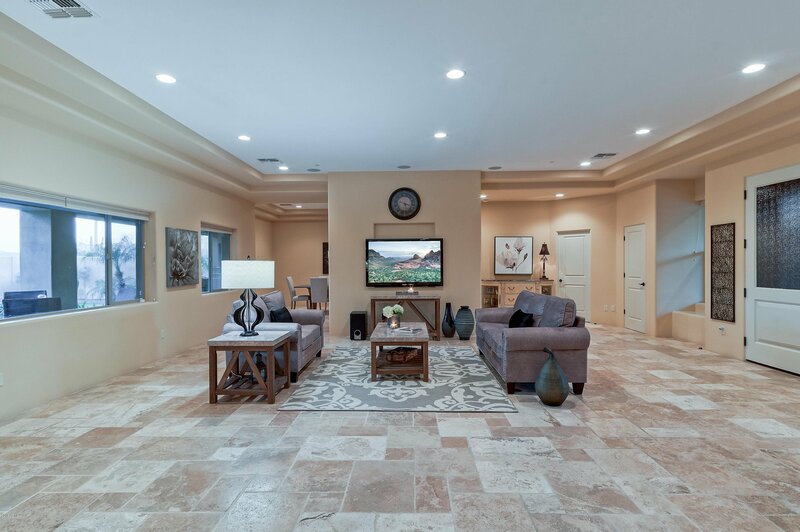 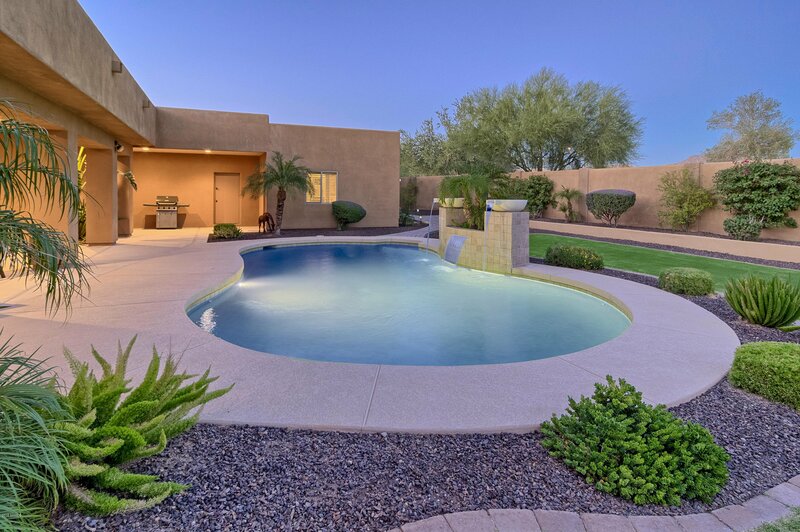 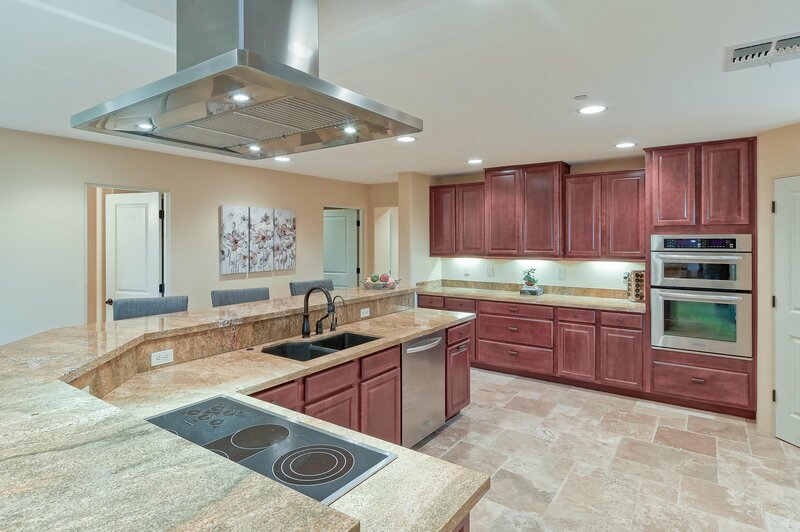 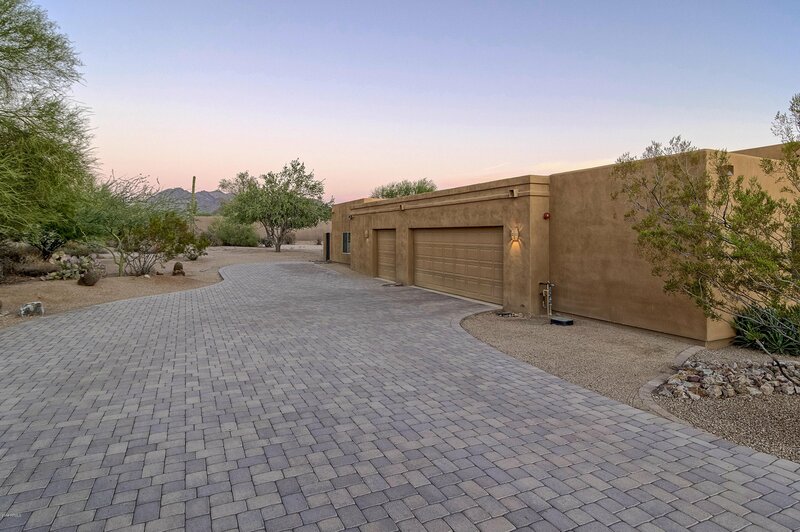 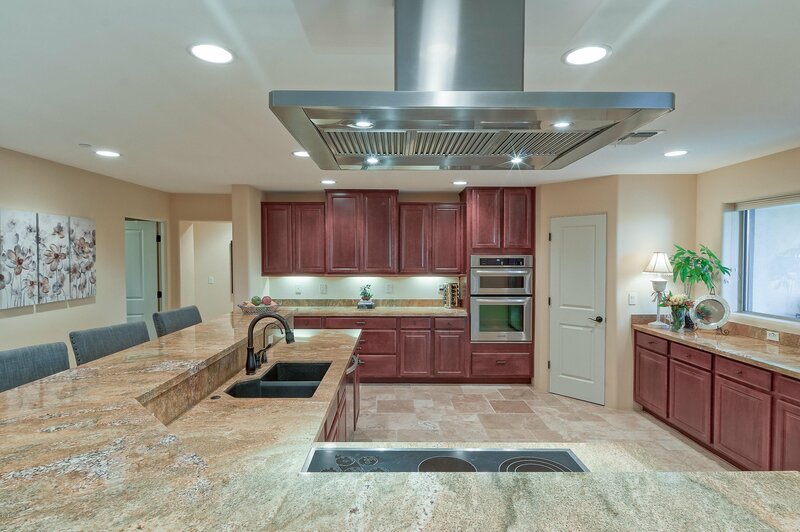 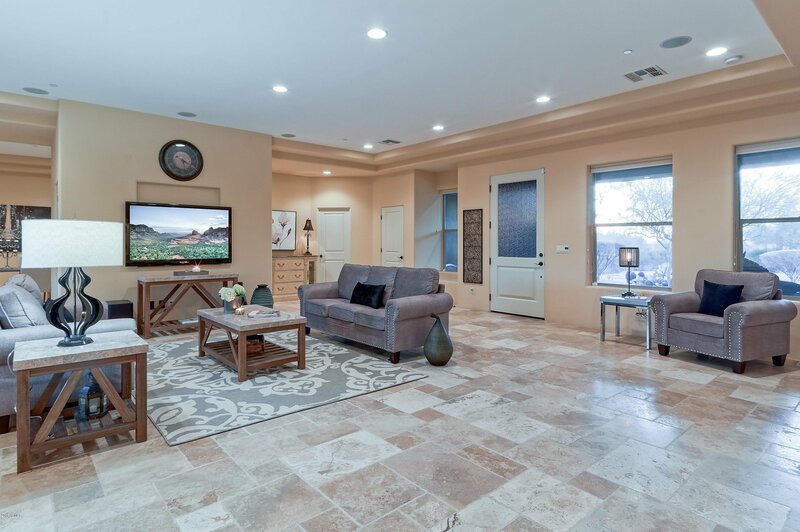 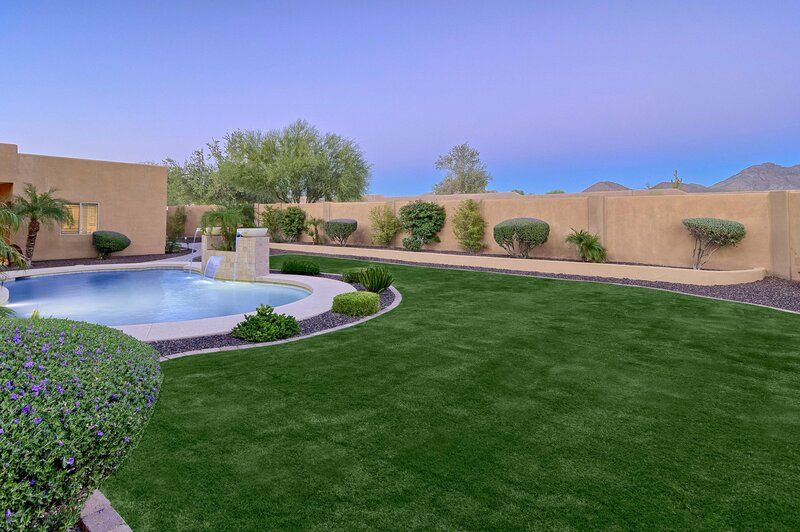 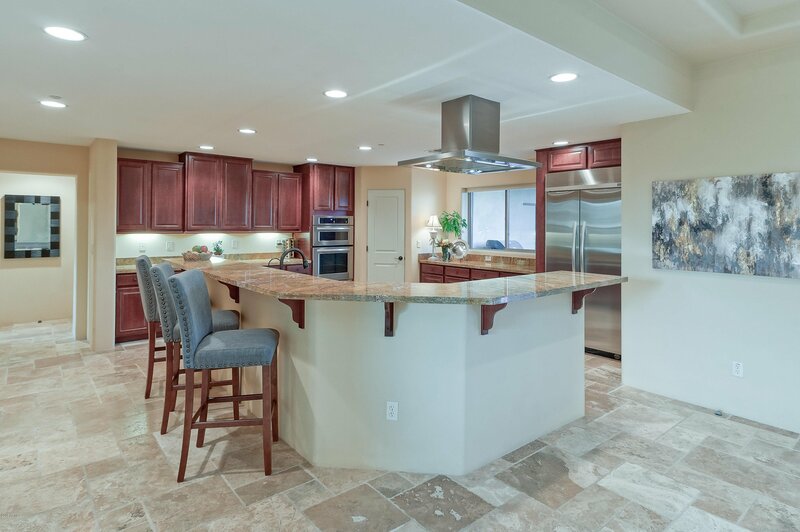 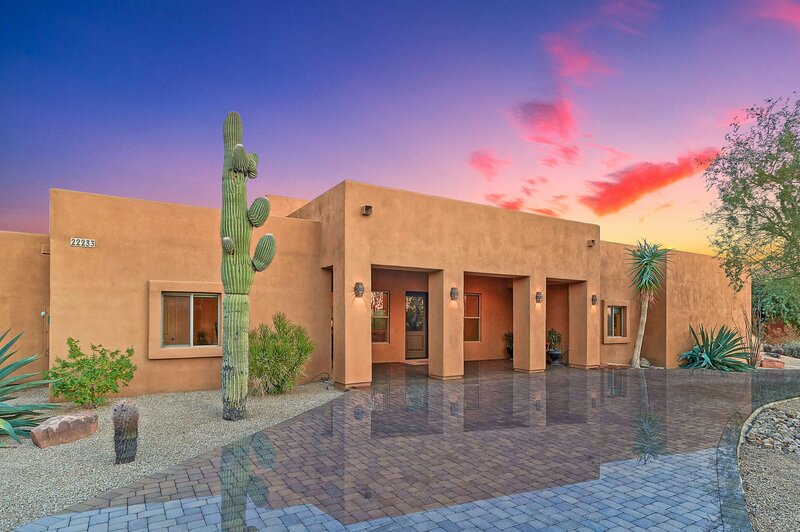 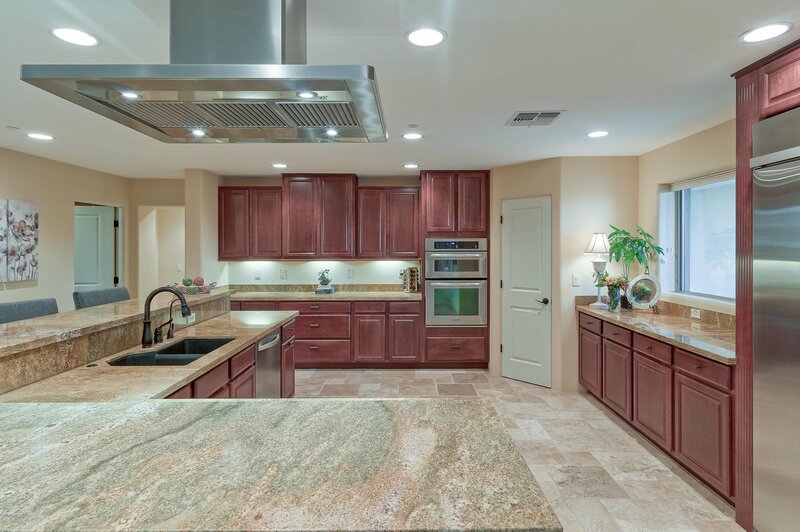 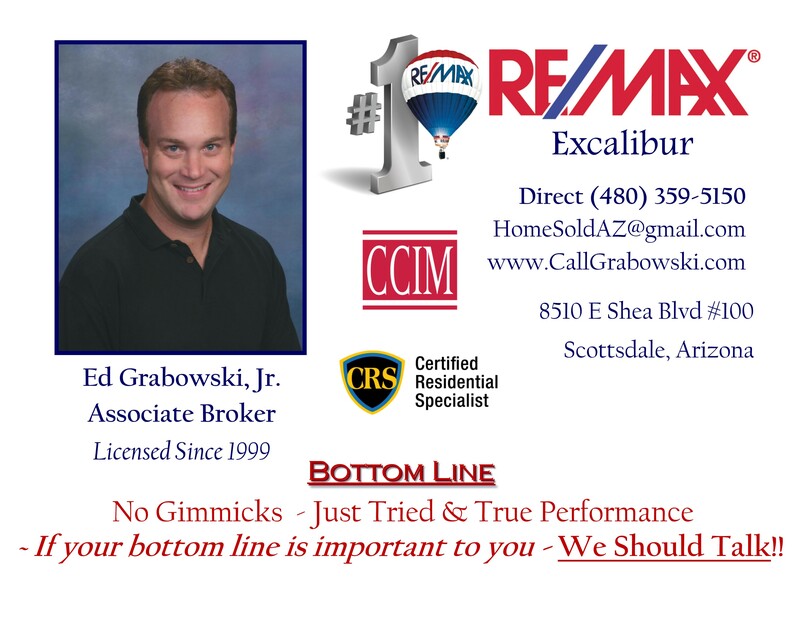 Nestled within the gated Los Gatos community, this property is uniquely positioned to capture the sought-after views that North Scottsdale is known for; including views of the McDowell Mountains, Pinnacle Peak, and twinkling city lights. 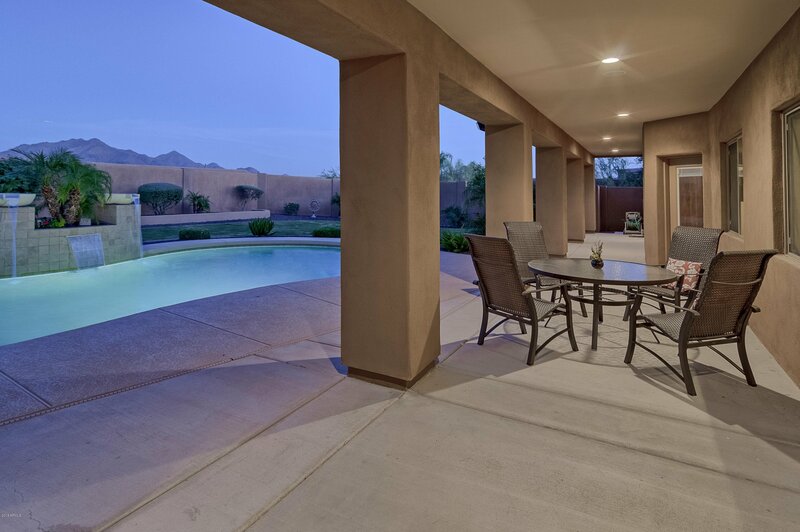 Offering space for entertaining, the functional floor plan also provides intimate gathering areas and outdoor space that captures the stunning picturesque landscape. 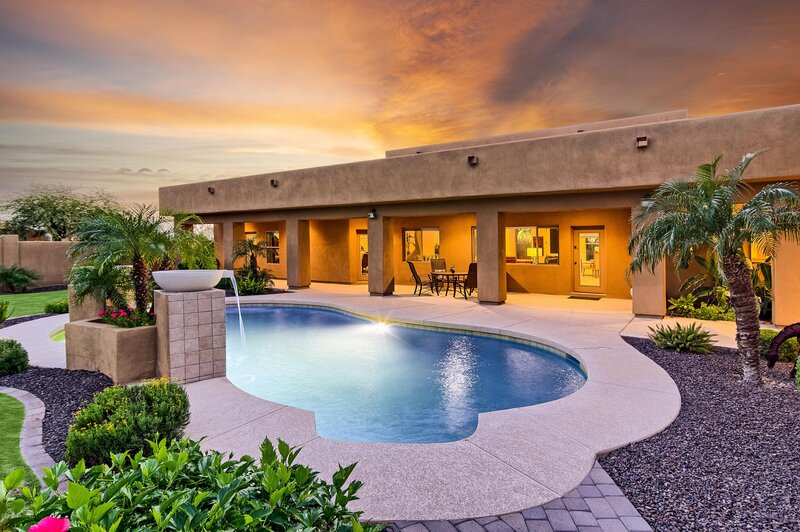 The view-laden backyard backs to natural space and boasts a sparkling pool with relaxing water feature, grassy play areas, and a spacious covered patio which leads to the upstairs observation deck with sweeping panoramic views. 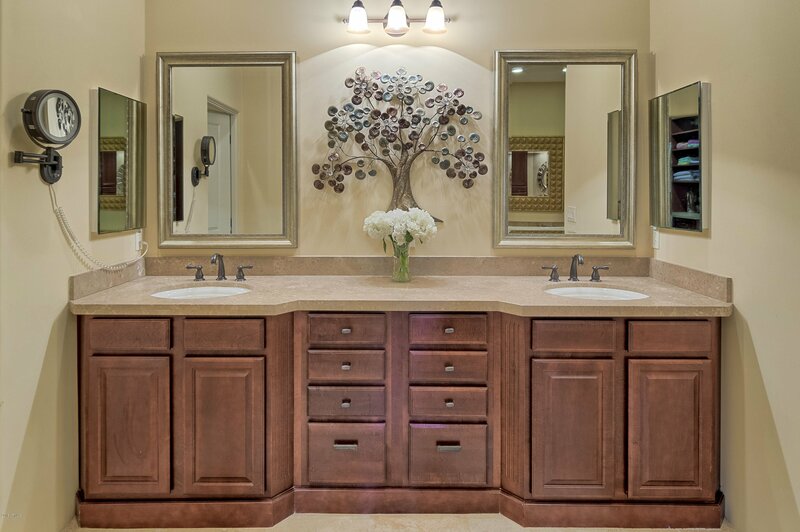 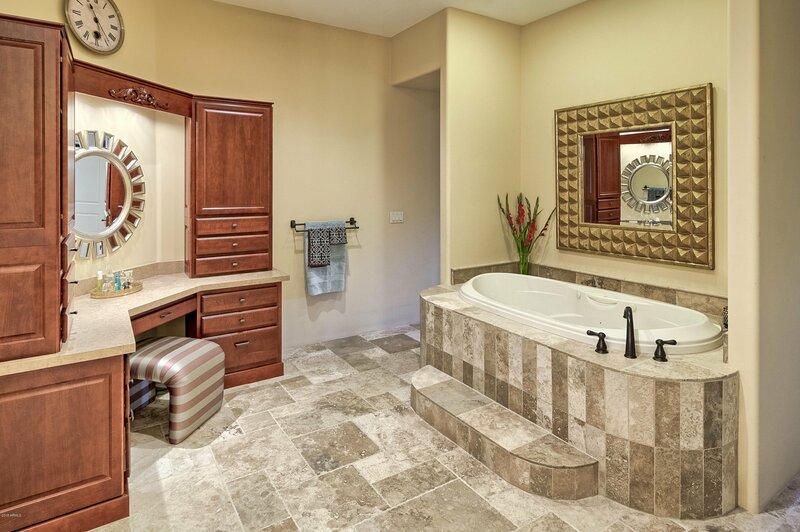 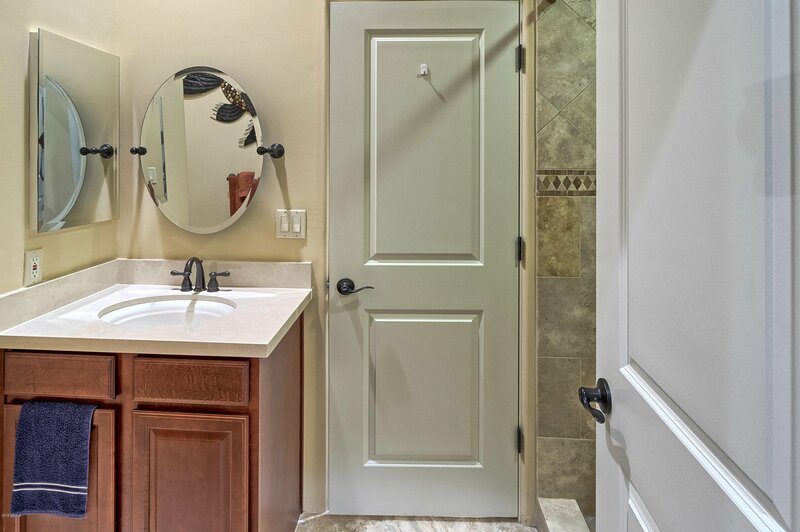 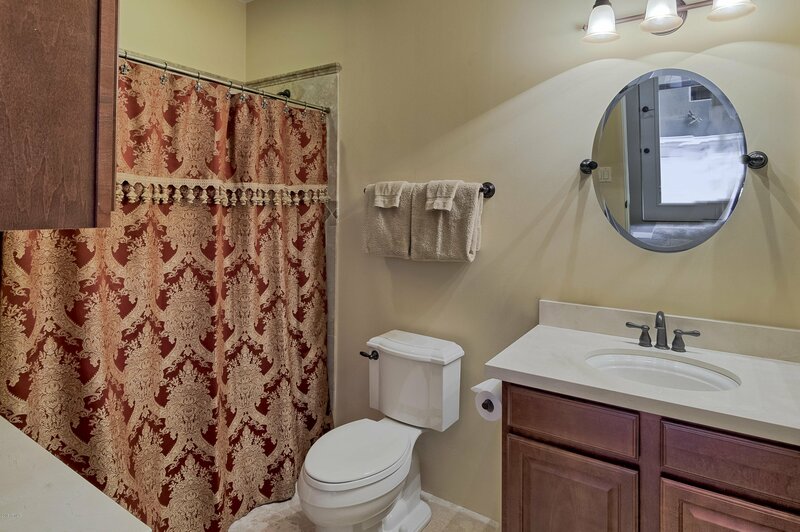 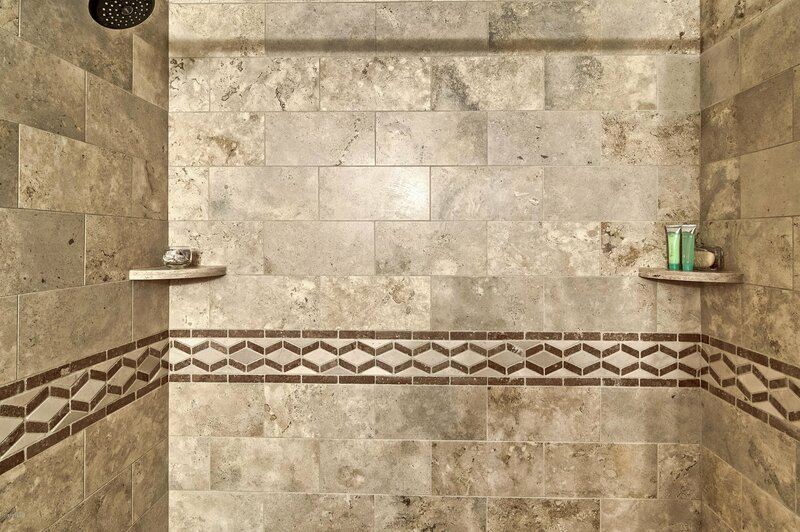 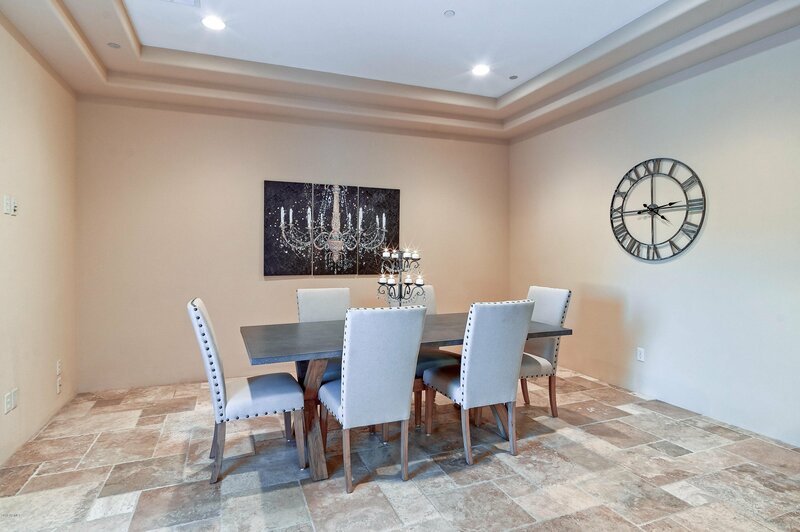 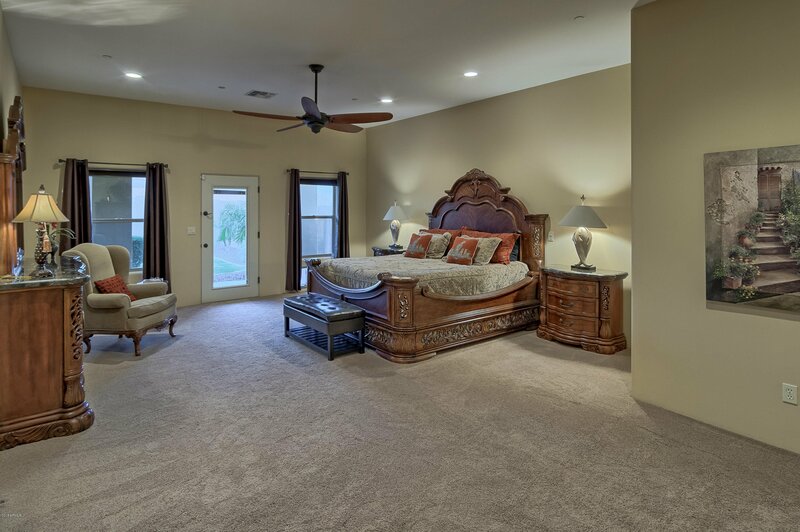 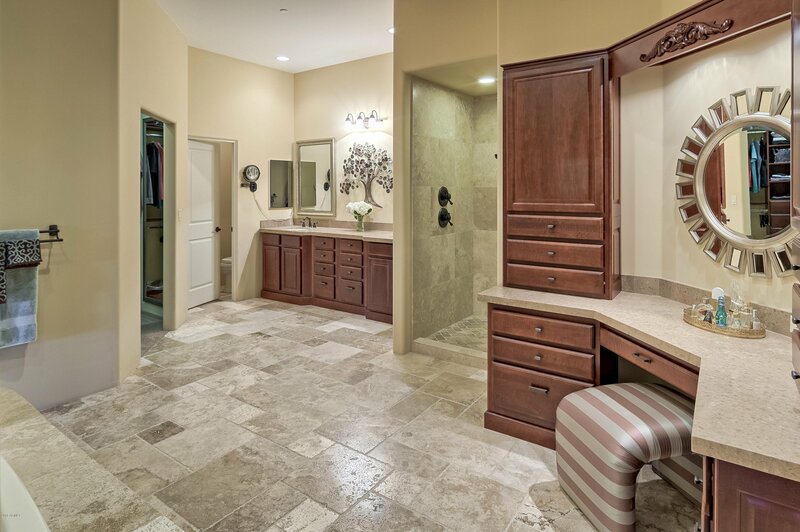 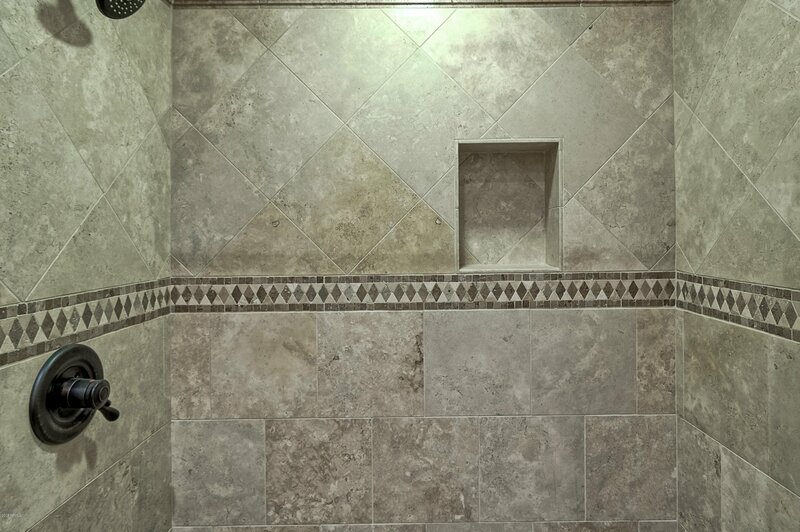 Luxurious finishes throughout including Travertine flooring, trey ceilings, recessed can lighting, natural stone counters, large picture windows, custom cabinetry, and neutral paint colors. 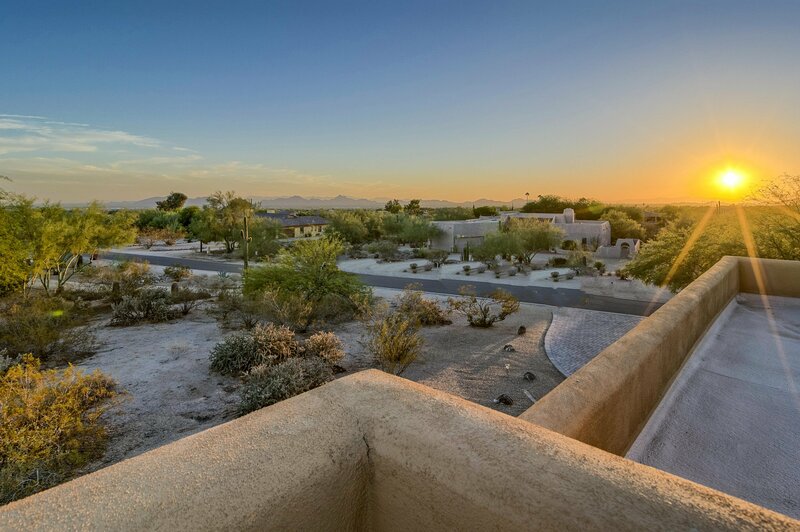 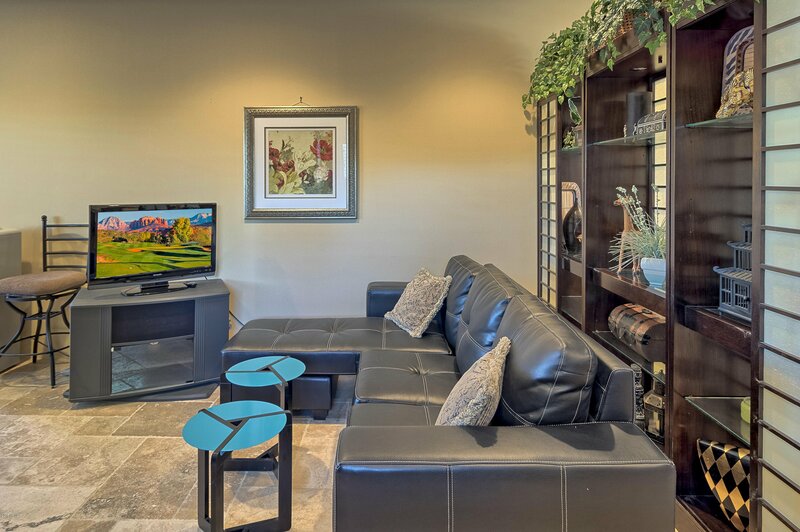 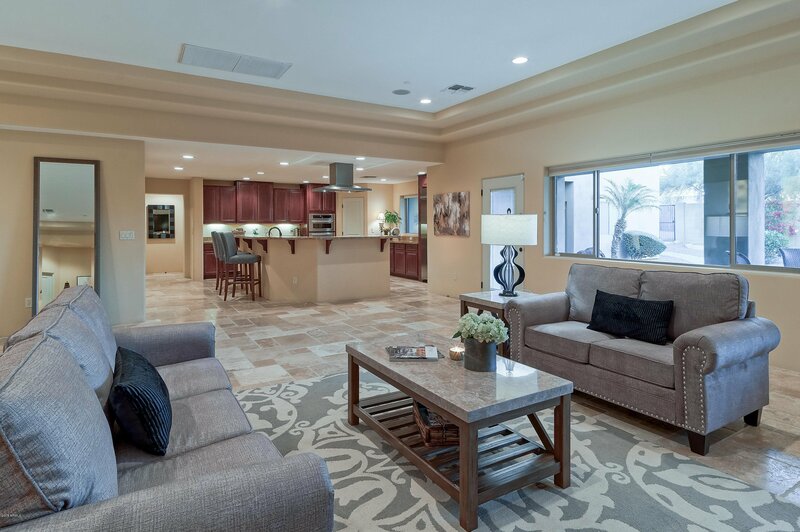 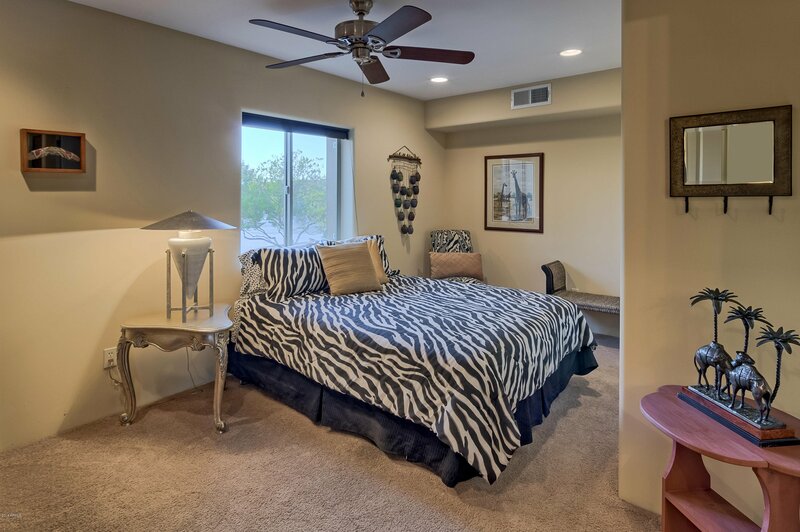 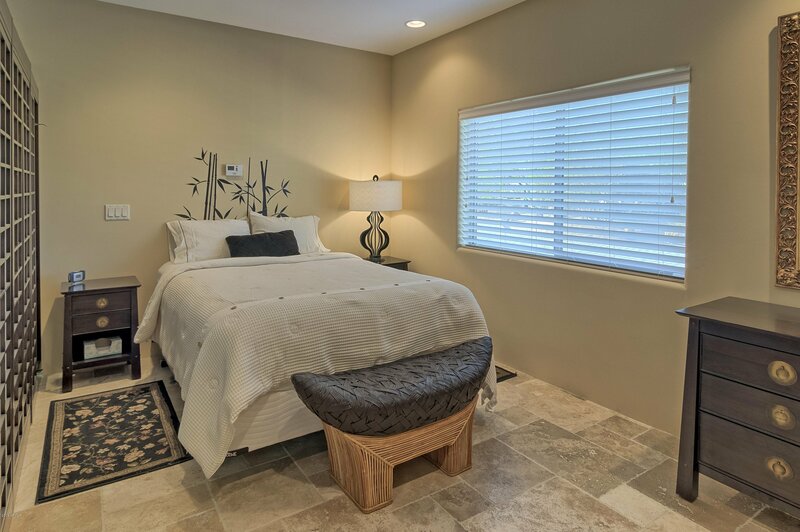 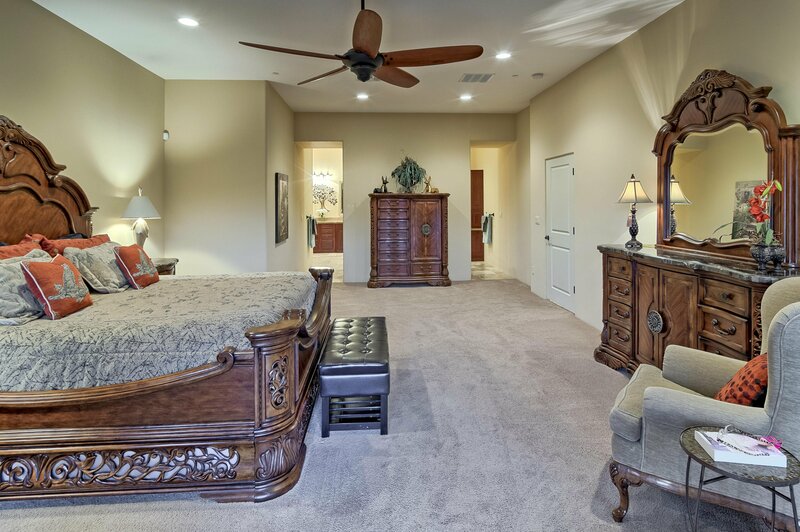 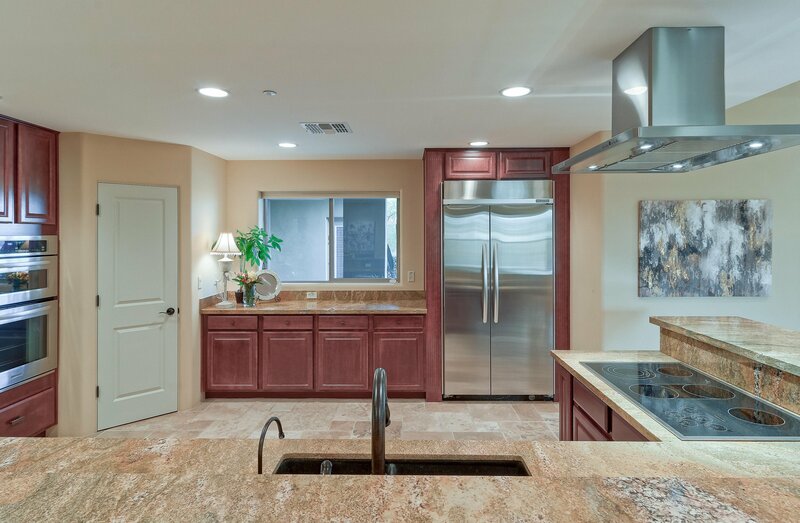 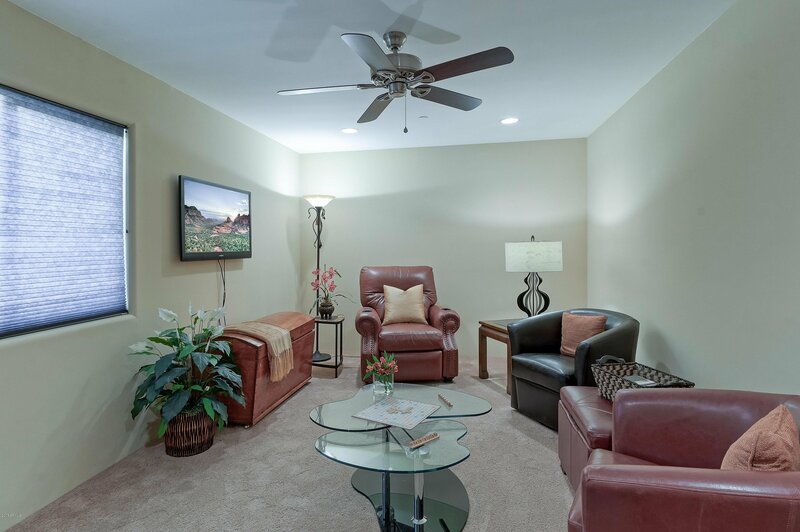 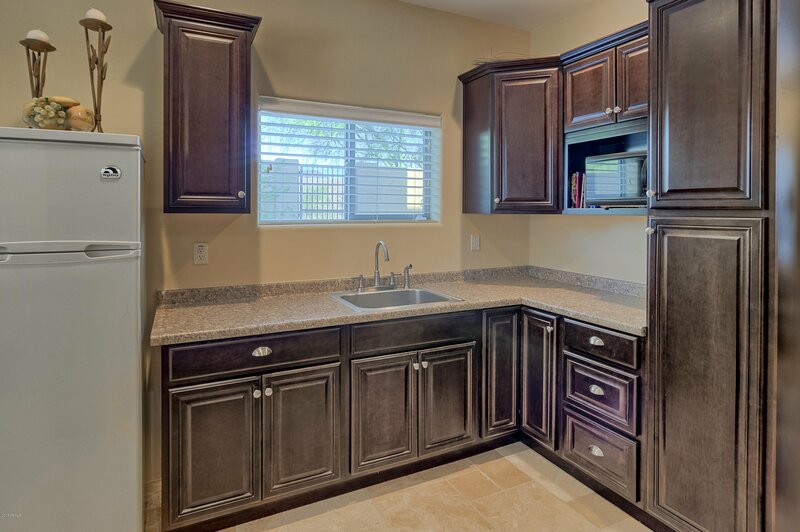 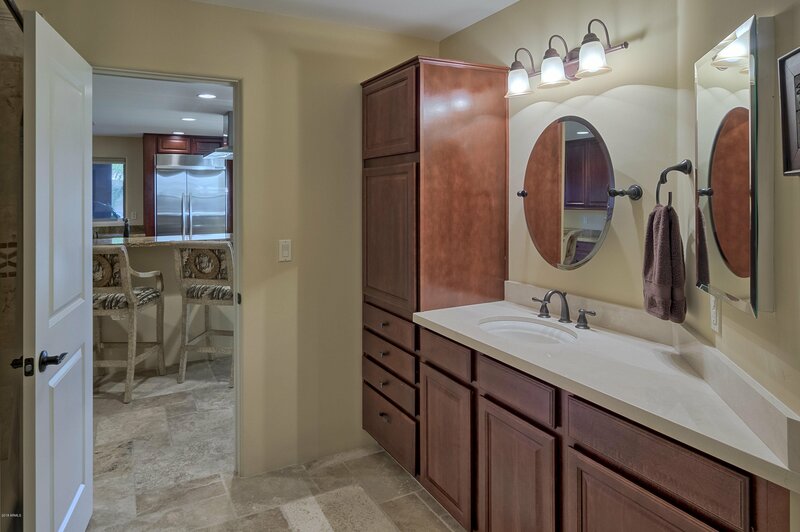 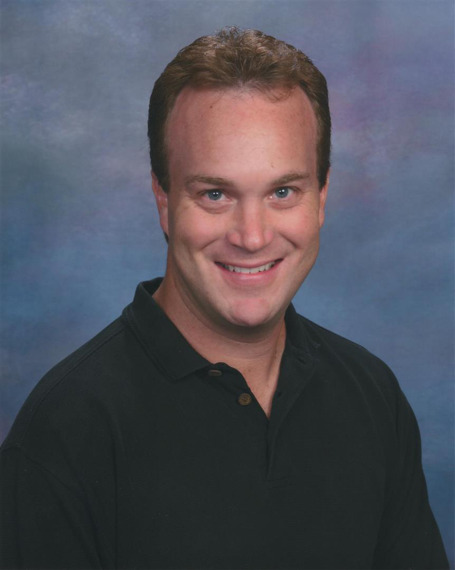 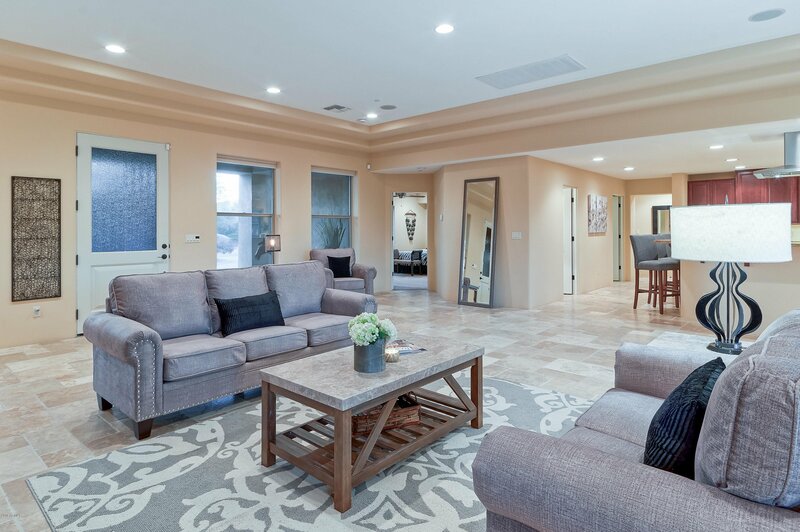 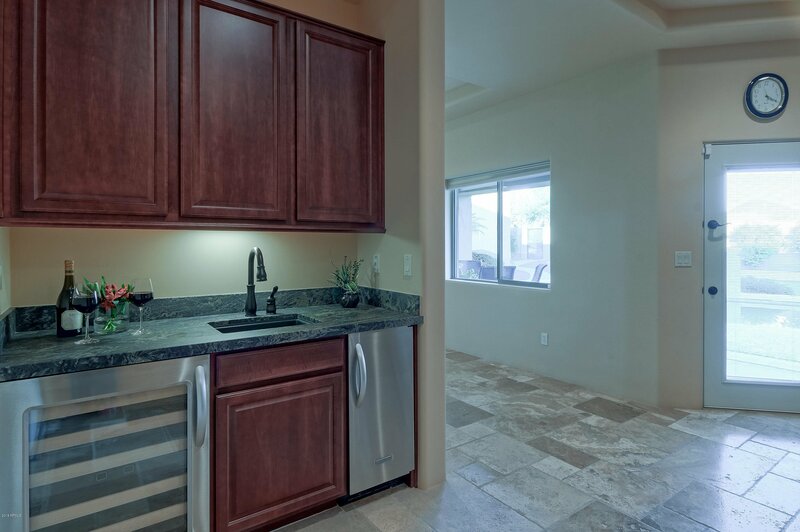 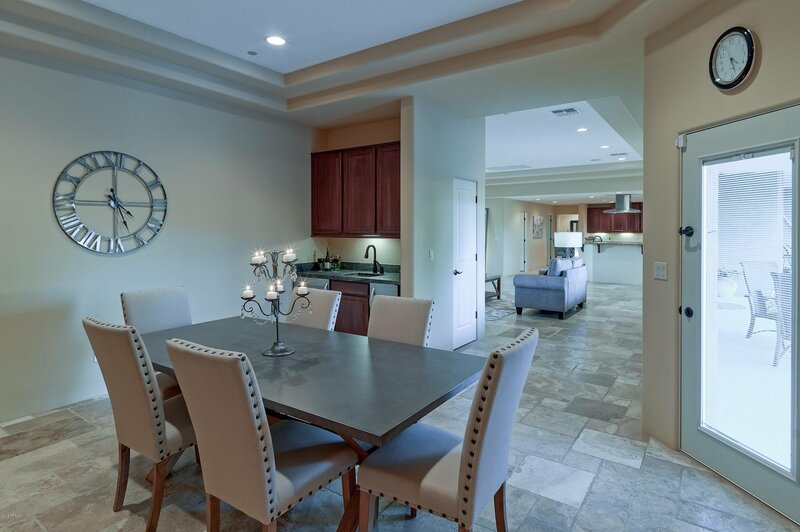 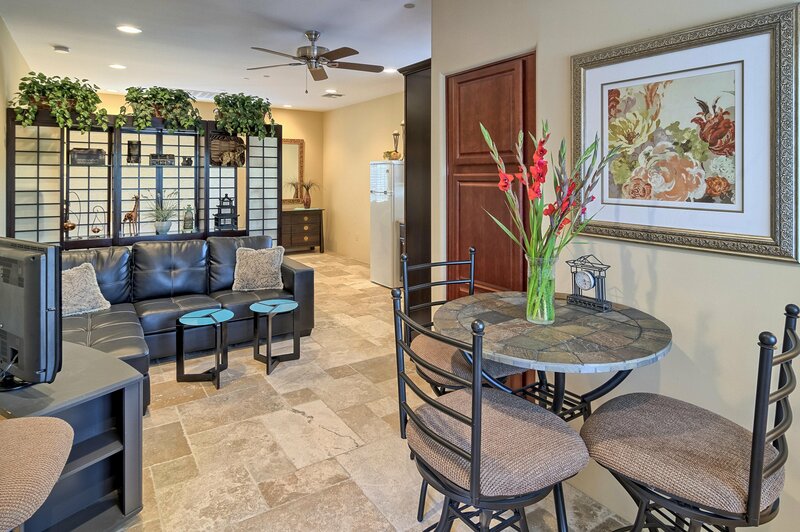 Conveniently located in the heart of North Scottsdale, Los Gatos is just minutes away from dining, shopping, world-class health care facilities, and freeway access.